If a true lifestyle property within 15 minutes to both Feilding and Palmerston North is on your wishlist, then this is it. Situated 5km from Rongotea Township, you are welcomed up a sealed driveway with expansive parking for the whole family, coupled with two car garaging this 1970's home covers all bases. The five bedroom, master with ensuite home includes electric water heating, woodburner, DVS heat transfer system and heated wall panels in the bedrooms for winter comfort. Combined with an open plan living, dining and family room makes for easy, relaxed family living. The outdoor space boasts a range of fruit trees and vegetable garden in an established tree setting that can be admired from your expansive deck, positioned to capture all day sun. 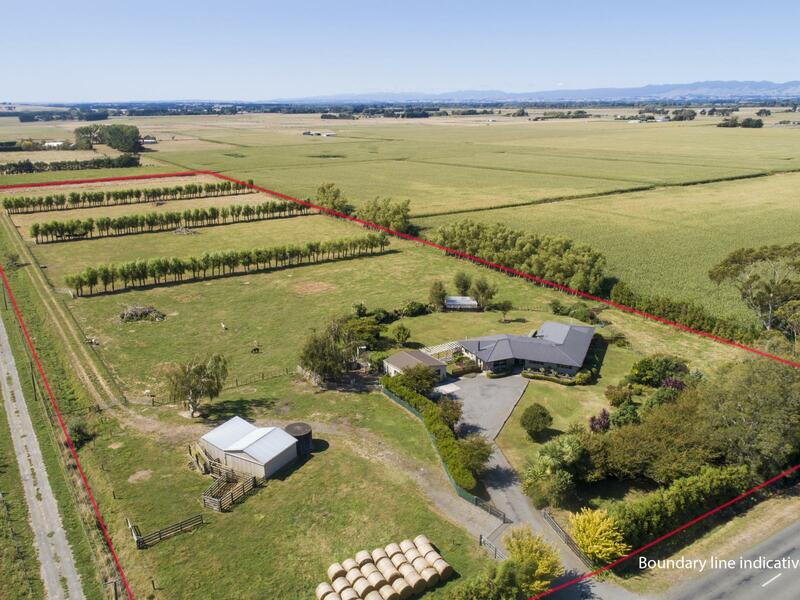 With 4.3ha of flat fertile land, an all-weather race that allows for year round access and recently trimmed willow tree belts for shade and shelter, the property is complimented with a loading race, 2 bay shed and own water supply from a bore. This property provides numerous options with country living on premium land in a sought after area. Call to view today, it will go fast!